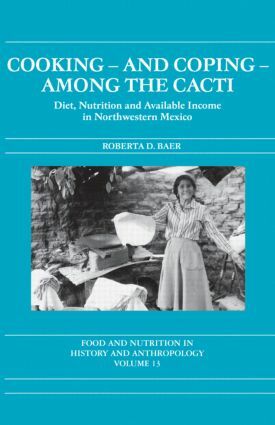 Using data collected from 105 households in Sonora, Mexico, the author combines detailed ethnographic research with quantitative analyses of income, diet, and nutritional status to examine the dietary patterns of residents who "cook and cope among the cacti." Employing a new analytical concept of "available income" - which can differ greatly from total income and provide valuable insight into why people eat what they do - the work explores a variety of social and cultural factors that affect food expenditure and consumption. Home production of food and the extent to which women are employed outside of the home are just two of the many variables discussed that influence available income and how it is used. But even among groups with similar available incomes, variables of ethnicity, prestige, nutritional knowledge, and the desire for consumer goods come into play.